Hello world! Selamat menjalankan ibadah puasa for my Moslem Friends. How is it so far? specially those who live in Northern Part of this globe and now is…summer! Long hours of fasting I suppose. My family just moved from Pekanbaru to Jakarta. Our house was under construction and we had to stay in Hotel , there was surely no Airbnb or service apartment for sure back in that time, hence no kitchen. We bought our food, mom was not able to cook. We stayed in Hyatt Hotel for 3 months! (now it is Aryaduta Hotel) located in front of Patung Tani. I was just started to learn fasting and only me and my dad. My late mom was still breastfeeding my brother and my sister was only 3yrs or 4yrs at that time. So every night, we took Bajaj to the nearest Restoran Padang and my dad would bought Nasi Rames for the two of us. Dad would wake me at 4 am, really dark outside. And I will have Nasi Padang wrapped in a banana leave EVERY… SINGLE….Sahoor ! 😉 In our not so spacious hotel room! Gee….I think this where I started to love Dendeng Paru. I ate it every night! And no… no Puasa-Setengah-Hari for me when I was a kid. I went to Catholic School for my primary school. I didn’t have a privilege of shorter study hours like my other friends who went to Islamic school or Sekolah Negeri during bulan puasa. School Hours were like usual . Students in the last year must go for annual retret (religious retreat). I still remember we stayed somewhere in Cipayung/(or was it Cijantung) , but couldn’t recall the name of the seminary. The retret took 3 days and it was held during Ramadhan. There were about 8 moslem students and the teacher separated our rooms from the others. So, it would be easy for either one of them to wake us up during Sahoor or pray! Guess who was our chaperone? My Guru Agama, Ibu Elizabeth! She was not fasting for sure, but she was the one who wake these anak SD kelas 6 to have sahoor (meal were already prepared), accompany us und so weiter. Very sweet of her!! Once, it was Ifthor time during a Mass, and the Pastor dismissed us to have buka puasa. One thing that was funny, during lunch time, we were allowed to go back to our room for a nap and my other catholic friends would come to our room …to chill! Their rooms were very hot but in our room, kamar kita yang muslim dikasih Kipas Angin donk….!!! hahahahhah! Baik ya…! My first Ramadhan experience during Spring Time. It was around April. So, after reading how some of my relatives experience longer fasting hours when they lived in the nothern part of this globe, here come our turn. 🙂 But since it was Spring, it didn’t take that long. Shubuh time was around 4.30 am and Magrib was around 8 pm. Since, I still went to school of course life was as usual. I still have to run circling our gym track at 1 pm every day. No execuse! I have to be in the Dining Hall during lunch break, seeing my friends enjoy their lunch and a can of coke! Phewee! Makanya gw kesel banget baca berita ini, ibadah kok manja amat! (sorry for those who are disagree).Saya sudah biasa jadi minoritas ketika menjalankan ibadah puasa on my first years of fasting! My first Ramdahan being away from home (read: no mama’s for sahur and buka puasa) ! I went to Duri Camp for my final project on my last year at college. 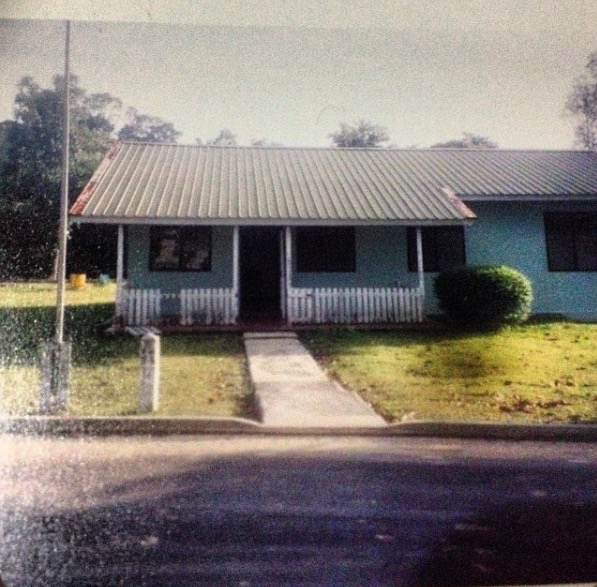 This was the house where I stayed, I still remember the address, Talang number 14! I stayed in this house with other 4 students and there were another house number 25. I think there were 8 of us, female only. The boys stayed in other house quite far from us. There would be a car picked us at 3 am in the morning, I repeat 3 AM!!!! and we would take us to Dining Hall. That was about 5-10 mins drive. Mata kriyep kriyep habis deh ahh……Same thing with Ifthor time, there would be a car picked us at 5.30 pm. At 7 pm, there would be a bus that will take us to Mosque to have sholat Taraweh! I remember I didn’t fast, biasalah…those days of the months, I got my period. My house mate all went to Mosque, and since I lived in the middle of jungle, of courrrseeeee…. saya ngga mau di rumah sendirian! No TV juga lho! Sedih deh! No mobile phone signal as well at that time, let alone surfing the internet. It was not exist at that time! Anyway, I still went to the mosque with my friends and sat at the back. I remember there was a young mother whose baby was only 7 months. She wanted to have Sholat Taraweh, yet her baby was cranky. I offered her to look after the baby, she agreed and ..so did the baby! whoaa! After I hold the baby for a while, she fall asleep! I was panic! Oh em gee…I never hold a baby before and now this little things fell sleep in my lap!!!!! Have a blessed Ramadhan every one! semoga lebih baik dari tahun lalu! AMin. Last sunday, we (me and my friend from bintaro runners) ran 8Km from Bintaro to Alam Sutra. The new road connects this two area just completed. 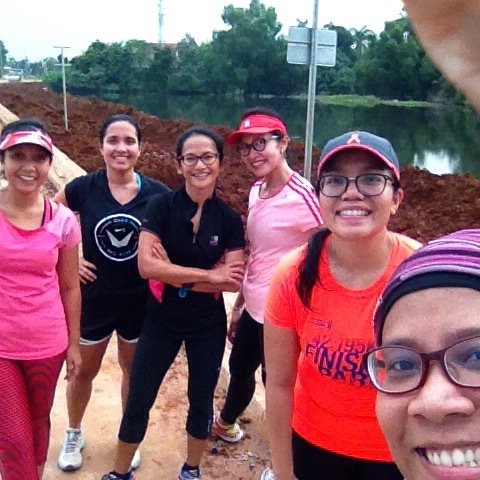 We ran for Padang Food! 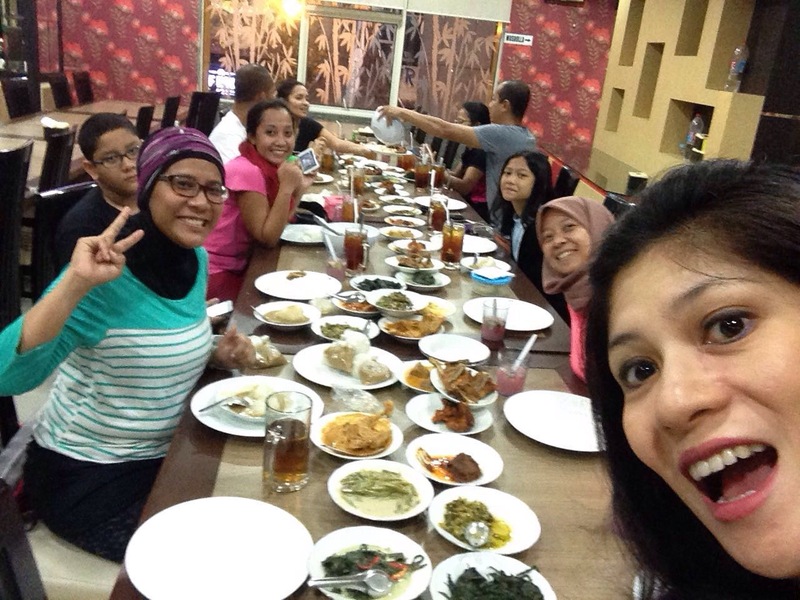 Rendang, Kikil, Ketan Duren, etc at Indah Minang Jaya! Ramadan Mubarak! It must be hard to exercise while fasting, oh boy! neah, it wont. try it yourself bahahhaah! Terharu Mbak baca ceritamu dan masih mengingat detail setiap peristiwa. Semoga Ramadan tahun ini membawa berkah dalam setiap langkah kedepannya. the sweetest comment! terima kasih Deni! you tooooo! !